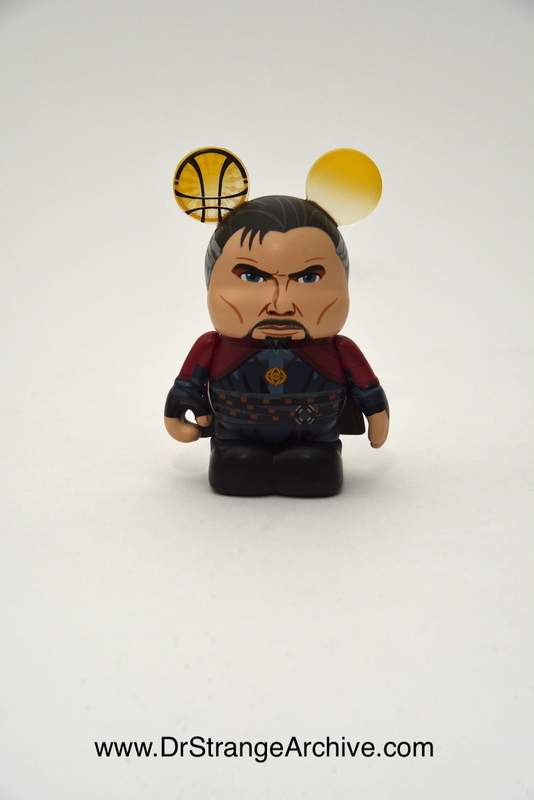 Size: 3" x 3.5" x 2 1/8"
Description: This is the 2016 Doctor Strange Vinylmation Eachez figure that was sold at Disney Theme Parks and was limited to 2250. They are not individually numbered. It stands 3" tall and features a short pudgy figure dressed in the movie version of the costume and has Mickey Mouse ears with the symbol of the Vishanti painted on one ear. The artist is Thomas Scott. These figures came in a blind box. This figure was 9/10 chance and a clear version is 1/10 chance.